Following my previous post on TFT HiFiDuino v.1.00, this is what you need to know in order to build my Buffalo Shield. –	Galvanic isolation for the I2C signals as well as 2 digital outputs (Arduino -> Buffalo) and 1 digital input (Buffalo -> Arduino). –	EEPROM chip (24LC256) either in SMT or DIP footprint. –	Backlight control for the TFT through a PWM-controlled transistor. –	Headers for two rotary encoders. –	Output for power relay (for remote on/off). –	Header for IR receiver. 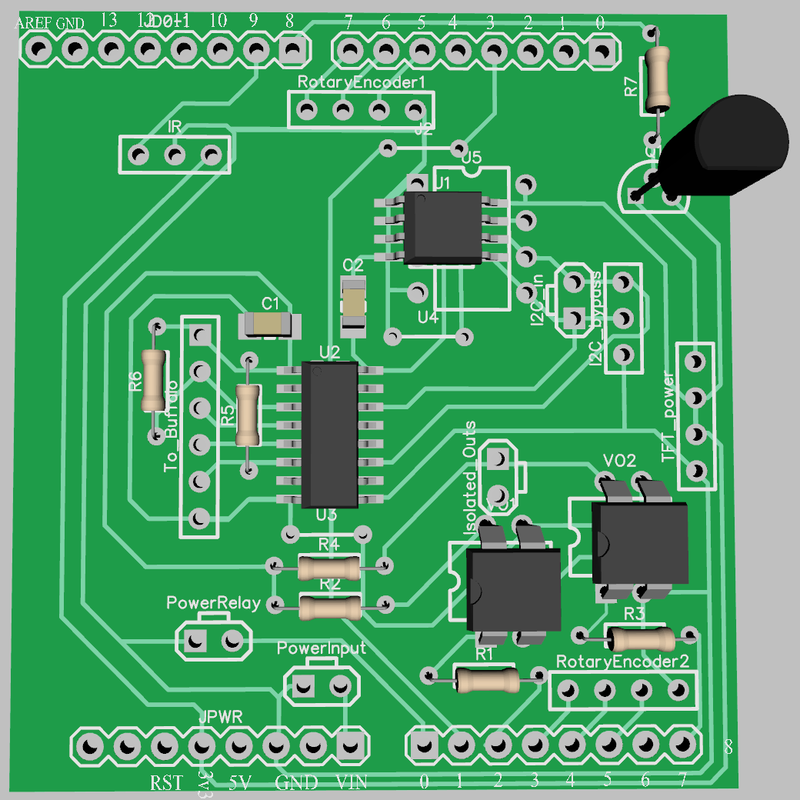 IR: Use a standard 38KHz IR Receiver Module, like the TSOP4838. 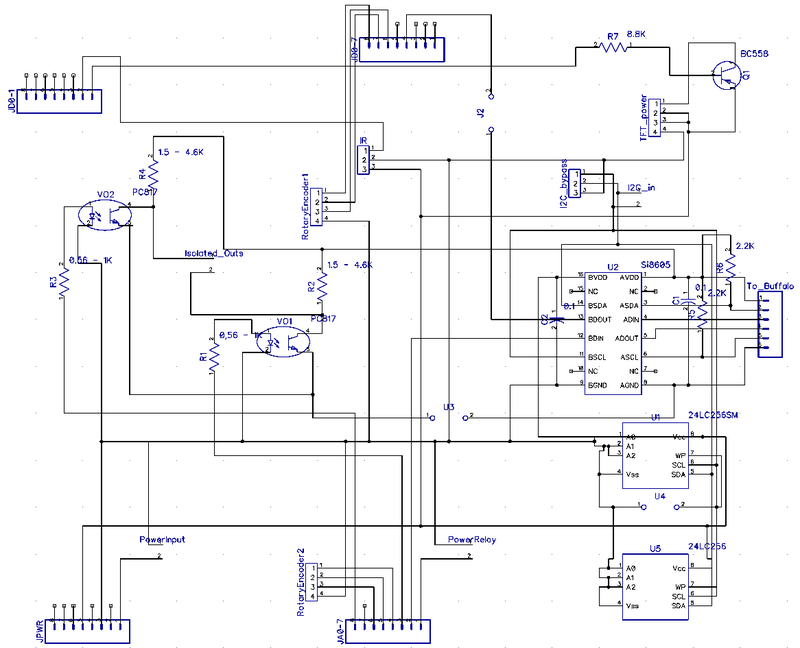 RotaryEncoder1: Use any simple rotary encoder. 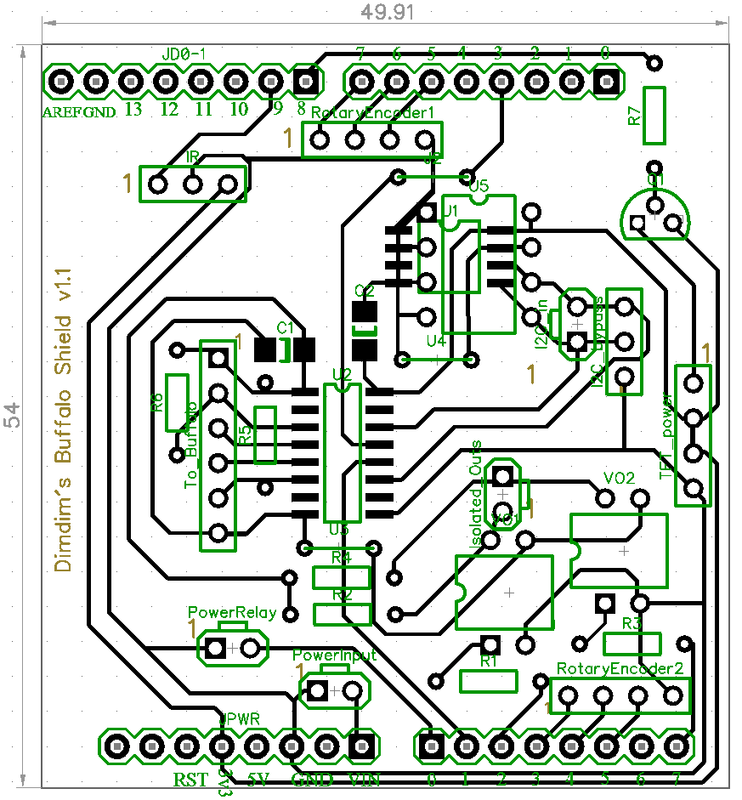 RotaryEncoder2: Use any simple rotary encoder. 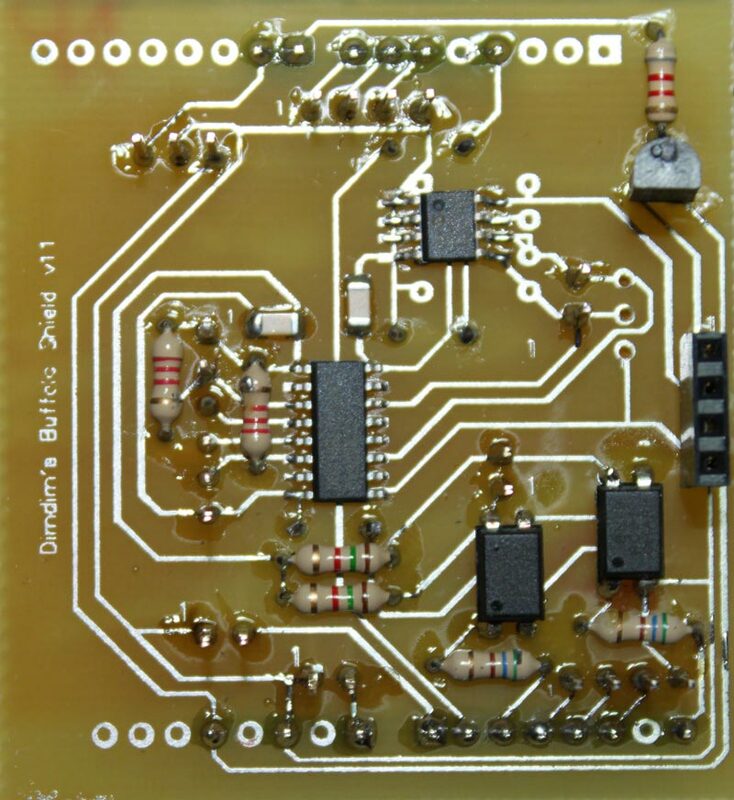 This entry was posted in Arduino, DIY Audio, TFT Hifiduino (shield) and tagged Arduino, buffalo, hifiduino shield by Dimdim. Bookmark the permalink.